Trending – #CallMeCaitlyn | The Cherry POP! It’s been a long journey for the Keeping Up with the Kardashians star, formerly known to the world as Bruce Jenner, one which has been covered by every news outlet for years, especially since the recent announcement of her transition on the Diane Sawyer television special. which attracted almost 17 million viewers. While transphobia still very much exists in today’s more liberal society, it’s surprising to see so much support for #CallMeCaitlyn, in-fact it almost makes me believe in the morality of the human race. It’s hard to not think Caitlyn looks great however, even with the glaring Anna Gunn vibe I’m getting from the images – which isn’t a bad thing. Photograph copyright of Vanity Fair and Annie Leibovitz. 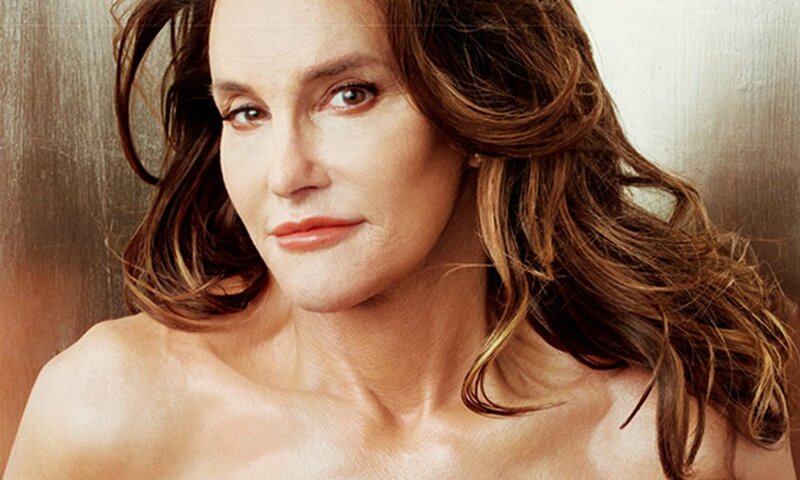 Jenner, 65, while identifying as a man, first became known to the world as an athlete, who took home the gold medal for the decathlon in the 1976 Summer Olympics. Since then, she had starred in a number of forgettable made-for-television movies and had guest spots on several shows but it was her marriage to Kris that really put her on the map. Since 2007, she has been a regular cast member of the hit reality series Keeping Up with the Kardashians, appearing alongside her daughters Kendall and Kylie as well as her ex-wife and former step-children, the Armenian trinity: Kourtney, Kim and Khloe. I’m sure Kris is pretty pissed off that Caitlyn rejected a prime opportunity to follow the “K” family tradition with her chosen name but perhaps doing that would feel way too gimmicky. 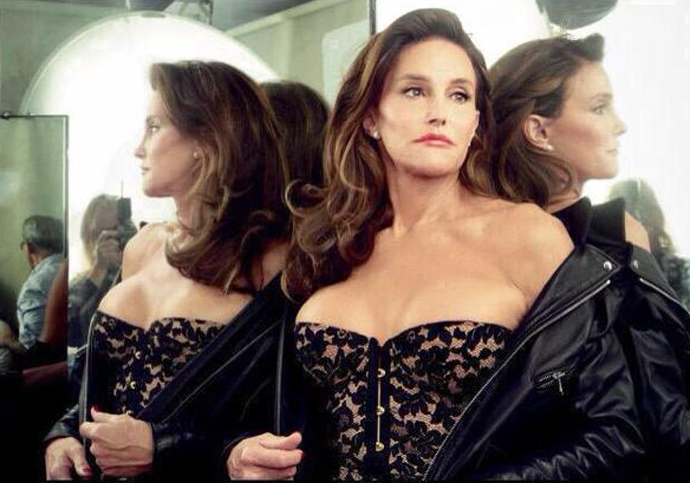 The PR company who is overseeing Ms Jenner’s publicity really deserves a pat on the back. They’re using carefully planned methods of attack to not over-do the situation but to handle it tastefully every now and again, which I believe is not only in respect to the Trans community, but is also a counter-attack to the argument that the Kardashian clan are way too over-exposed as it is. Being featured in Vanity Fair is a huge deal, not to mention the classy photo shoot was done by the incredible Annie Leibovitz, who is just a master of bringing out beauty and grace in her subjects, all you need to do is look at her iconic photographs on Google images to know she’s the perfect person to shoot the big reveal. All of this however, comes at the most opportune time, since Jenner is set to debut her own reality show on the E! network this July which documents her public life living as a woman. The show is sure to be a success, since in mere hours, the newly made Caitlyn Jenner twitter account gained almost 2 million followers. Caitlyn’s family have also stepped in to support the cover, with daughter Kendall announcing “be free now pretty bird” to her 10 million followers, while Kim Kardashian left her vanity at home for a moment to promote @Caitlyn_Jenner, with a kind “How beautiful! Be happy, be proud, live life YOUR way!” – how very eloquent, girl. So, how do you rate today’s trending topic? Sick of hearing more about the Kardashians? or do you think this is a great step forward in the publicity of trans issues? This entry was posted in News and tagged Bruce Jenner, Caitlyn Jenner, CallMeCaitlyn, Keeping Up with the Kardashians, Kendall Jenner, Kim Kardashian, Kris Jenner, Kylie Jenner, LGBT, News, Trans, Transsexual, Trending, Vanity Fair. Bookmark the permalink. It’s really important for people like Caitlyn Jenner to tell her story seeing as she is such a high profile person. It’s also important to acknowledge that Caitlyn is a very privileged person who has the money for things like surgery, and also support from her family, something a lot of trans* people don’t have (and in terms of surgery, might not necessarily want). I think Jenner has opened up peoples minds and by telling us her story has given people opportunities to talk about trans* issues on a larger scale than ever before. I would really encourage people to click the link below and read Laverne Cox’s (from ‘Orange is the New Black’) comments on Caitlyn Jenner’s cover as she raises some really valid points on the diversity of trans* narratives. http://thequeerav.com/…/laverne-cox-comments-on…/ I’d also like to encourage people to read this article (http://thequeerav.com/…/keeping-up-with-bruce-jenner…/) written directly after the Diane Sawyer interview (hence the name Bruce being used and gender neutral pronouns) as it highlights just how different and complex trans* narratives really are; no two stories are the same! I’m really passionate about trans* issues and volunteer with a lot of young trans* people in Perth and I just want to say that getting to know people for who they are rather than judging them for their differences is so important. Let’s celebrate diversity, it’s such an amazing thing and we can learn so much from listening to other people’s stories! Thanks!